Cool and stylish kids personalised cap/ snap back. 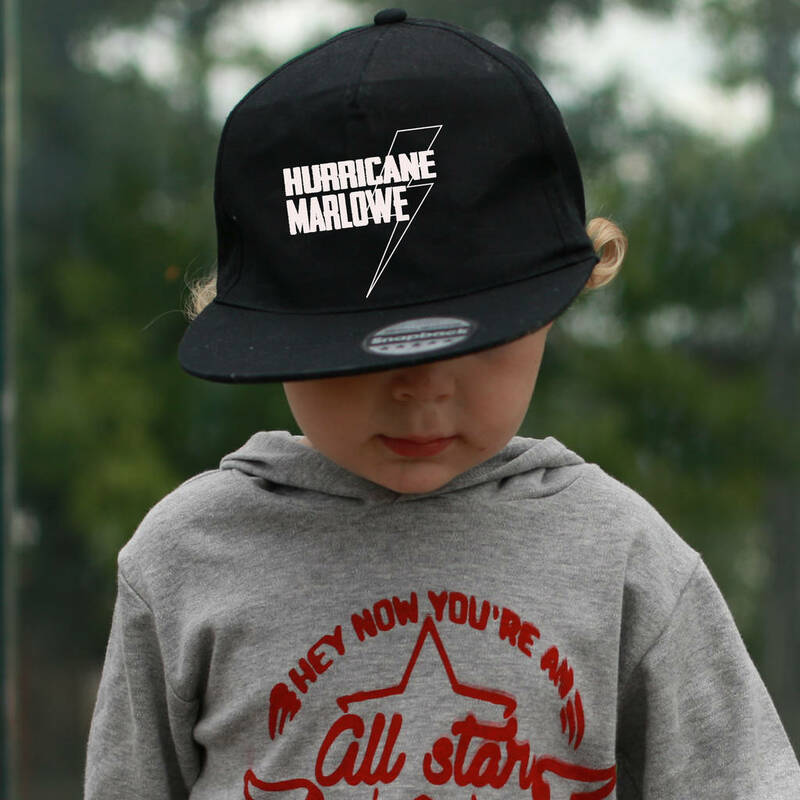 Perfect for your mini natural disasters that run around leaving chaos in their wake! Summer esential to keep the sun off of your little ones eyes in the coolest way possible. This hat makes a lovely personalised gift for any trendy tot in your life. This trendy snap back is adjustable from 52-56cm. Approx. ages 2 upwards. Choose from all black, blue and black, pink and black, red and black and white and black. Printed with either black, white, red, pink or blue vinyl or choose between our premium glitter vinyls for an extra £2. Please leave your colour request in the comments box provided. Hats are youth sized snap backs are printed with high quality vinyl. Fits 52cm- 56cm head diameter.